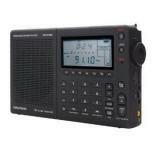 From the ManufacturerWhen you want full shortwave capabilities and a classic design, choose the Grundig Satellit 750. The 360-degree rotating AM antenna enhances tuning sensitivity to pull in weak, far-away signals. 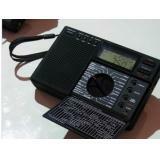 You can listen to AM, FM, shortwave with SSB and aircraft band frequencies. The on-board memory can save up to 100 of your favorite stations for each band. You can also connect your MP3 player for even more listening choices. Hear what you want to hear with the Grundig Satellit 750. Long-Range Flexibility and Sensitivity in One Convienient Package. 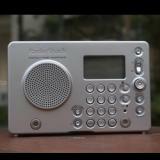 The Grundig Satellit 750 brings you coverage of all long-wave, medium-wave and shortwave frequencies, as well as FM bands. Specifically, it covers three frequency ranges. The 140kHz to 30MHz frequency range grants access to long-wave broadcasts, the entire AM band and shortwave broadcasts with single-sideband tuning. 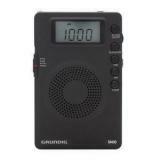 This far-reaching frequency range--along with the 360-degree rotatable, directional ferrite antenna--puts you in touch with news and entertainment from across the world, and also allows reception of ham radio operators, maritime and shortwave aeronautical stations. The 88MHz to 108MHz band covers traditional FM radio, and the Satellit 750 passes its stereo signal through to the convenient headphone jack. 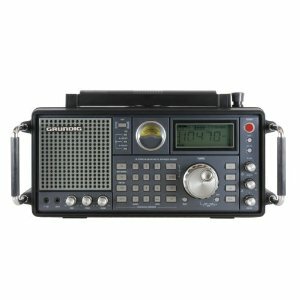 Additionally, this radio also receives the 117MHz to 137MHz National Civilian Aeronautical Band, letting you monitor multiple aircraft communication frequencies. Handy Features Make For Easy Use. The Grundig Satellit 750 tames its powerful tuning flexibility with a robust on-board memory system. 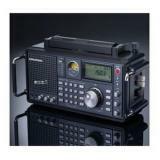 It can store up to 100 stations for each of its FM, AM, shortwave and aircraft bands. The Auto Tuning feature takes the hassle out of tuning in to multiple frequencies by automatically scanning and storing stations for FM, AM and shortwave signals. The Satellit 750's front panel is also equipped for manual and direct tuning, allowing you to punch in the exact frequency you want. An analog signal meter dynamically shows signal strength, and is a valuable companion when adjusting the directional antenna or manually tuning to distant stations. The Satellit 750 also has an external antenna input, granting even broader signal coverage. The line-in socket lets you connect and play external devices, such as MP3 players, through the Satellit 750. The handy line-out connector can send incoming audio signals to a recording device or even your home theater. Mute and separate bass/treble controls let you customize your sound. The Satellit 750 even has a dual alarm clock, making it one thoroughly robust bedside radio.